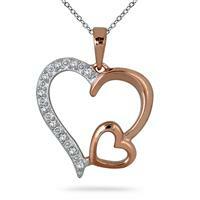 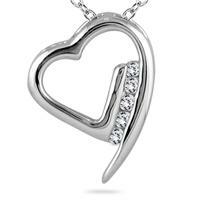 A sparkling bezel set diamond graces the side of this stylish heart pendant. 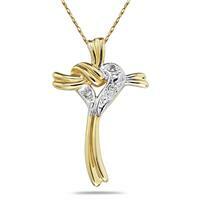 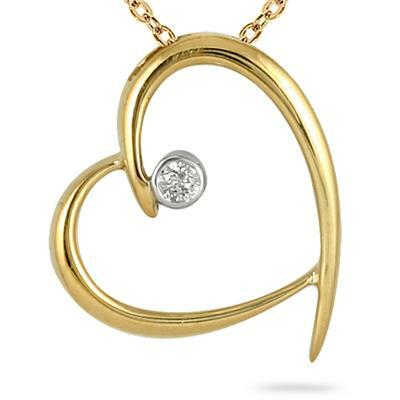 Crafted in 10k yellow gold, the design gives a subtle and sparkling touch to an otherwise traditional heart pendant. 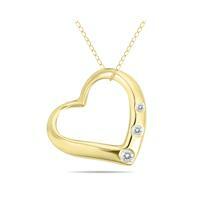 A great piece for today's contemporary fashions. 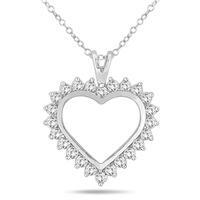 A very classic diamond heart pendant with a fiery white diamond. 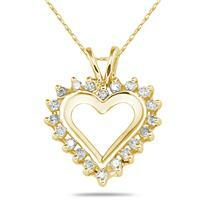 The pendant measures approximately 18x15mm in diameter. 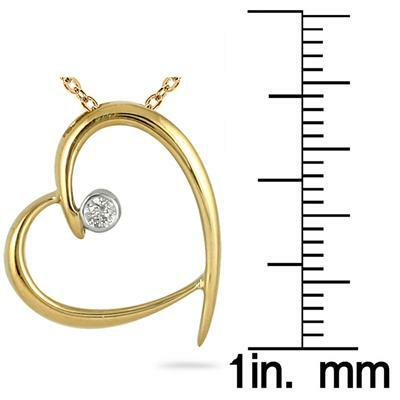 1 diamond weighs .05 carats and has diamond color J-K-L and clarity I2-I3.